There were some fantastic results for Munster clubs in the Nationals Cup on Saturday with three of the four representatives winning their 1st Round ties. In the Irish Senior Cup there were defeats for both Cork County and Co. Galway who faced tough away trips to Bready and Pembroke, respectively. Limerick, County Kerry and Midleton all won their National Cup ties while Cork Harlequins went down bravely by just 6 runs in a tight contest at Knockharley. Cork County made the longest trip of the 1st Round to face North West side Bready at Mason Road. In a rain affected game Bready reached 264-8 in their 46 overs. With Cork County 30-0 after 9 overs the rains set in and a further reduction set the away side a DLS target of 206 in 32 which proved too much in difficult conditions. Samarasooriya was Bready’s top scorer with 81 with Neppalli taking 4-55. In Cork County’s 149-7 in their 32 overs, Stephan Grobler scored 35 leaving Bready 56 run (DLS) winners. Bready 267-8 (Samarsooriya 81, Rankin 35, King 4-55) beat Cork County 132-7 (Grobler 35, Carey 20*, Barr 3-35) by 62 runs on D/L at Mason Road. At Sydney Parade Pembroke’s 263-7 was 122 runs too many for County Galway. For Pembroke Theo Lawson top scored with 104* and while Shariq Nasim got 51 in Galway’s reply Fiachra Tucker’s 4-22 was the best of the Pembroke bowling. Pembroke 26-7 (50.0 overs, T Lawson 104*, R Hopkins 43, D Hogan 35 , Summit Sukmpai 2-52, Ahmed Khan 2-56) beat County Galway 122 (36.2 overs, Shariq Nasim 51, F Tucker 4-22, P Lawson 2-20) by 141 runs at Sydney Parade. 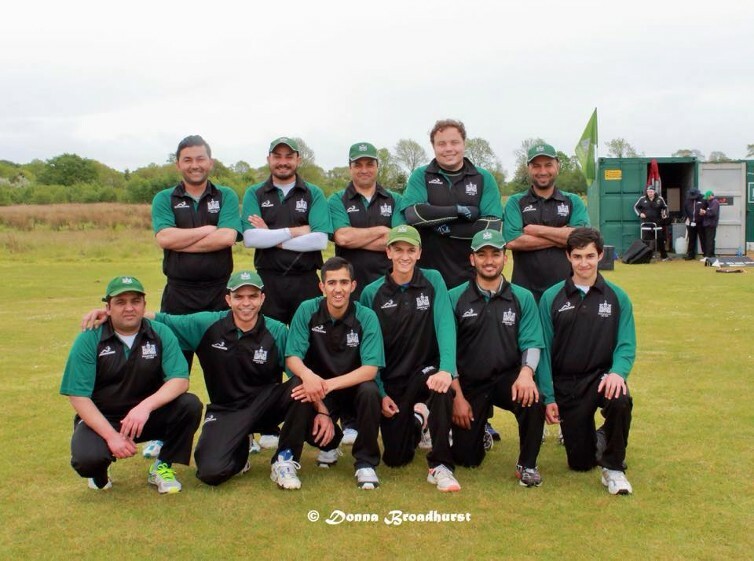 County Kerry 255 (K Iqbal 106) beat Ballaghaderreen 69 (19.3 overs, K Iqbal 3-13) by 186 runs at Oyster Oval. County Sligo 82 (D Wilson 6-19) lost to Midleton 83-4 by 6 wickets at Sligo. Knockharley 199-9 (40.0 overs) beat Cork Harlequins 193-9 (40.0 overs) by 6 runs at Veldonstown. Limerick 179-5 (20.3 overs, S Khan 44, Z Khan 37, Sidiqi 25*) beat Civil Service 162-5 (21 overs, Yousafzai 3-32) by 5 wickets on DLS at Adare.